A primary school boy with autism who was excluded because of behavioural problems missed out on full-time education for 12 months. A Local Government and Social Care Ombudsman (LGO) report blamed poor communication within Cornwall Council. It found the council was "delivering a fragmented service to the detriment of (the boy's) needs". The council has apologised to the family for "falling short of the standards we expect". It will pay £2,500 to "recognise the injustice caused as a result of missed education, distress and time and trouble caused to the mother", and a further £1,000 to "fund additional activities for the boy to suit his needs", the LGO said. Despite requests from his family and experts, it took a year for an Education, Health and Care (EHC) plan to be completed because information was not shared between departments. This meant the boy, who had special educational needs, missed out on education and appropriate support between December 2015 and January 2017. Michael King, from the LGO, said: "This case highlights the importance of council departments working together, communicating properly and sharing information to ensure the correct support is provided in a timely way. He added that the council "applied too high a threshold" for deciding whether or not to assess the boy for an EHC plan. "The threshold for deciding an assessment is low - a council only needs to be satisfied a child may have special educational needs and may require provision. In this case there was ample evidence the boy met this." 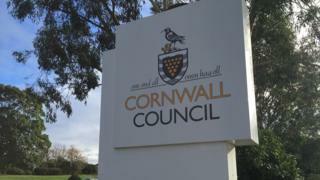 In a statement Cornwall Council said it accepts the report, saying: "The support provided by the council to his family and the communication between the different teams within the council in this case fell short of the standards we expect. It added that it is implementing all recommendations.